Successfully Added Pre-Order: InWatch Pi Bluetooth Watch - Sapphire Material Screen, Time Display, Calls + Messages Reminder (Black) to your Shopping Cart. Availability: This product is expected to be shipped October 31st. Please do not order this product with other non pre-sale products. InWatch Pi Bluetooth watch is a practical wearable gadget to implement into your life. It features a Sapphire Material Screen, Time Display, Calls and Messages Reminder. The InWatch Pi is a genuine piece of excellence as it is made with metal and sapphire glass with a leather wristband that is a mere 14mm wide. The overall appearance is styled to suit both ladies and men and it can be worn for many occasions including work. The diameter is 35mm, so this watch’s display is clear to see and read the time plus the battery of this smartwatch can last up to 6 months in standby mode. This classy wearable gadget accomplishes more than simply showing the time and has many practical features that you can use in your day-to-day routine. If you’re interested in sports, this watch has an integrated sports management function plus also your sleep can be monitored too, making this a clever way to measure your fitness and health. 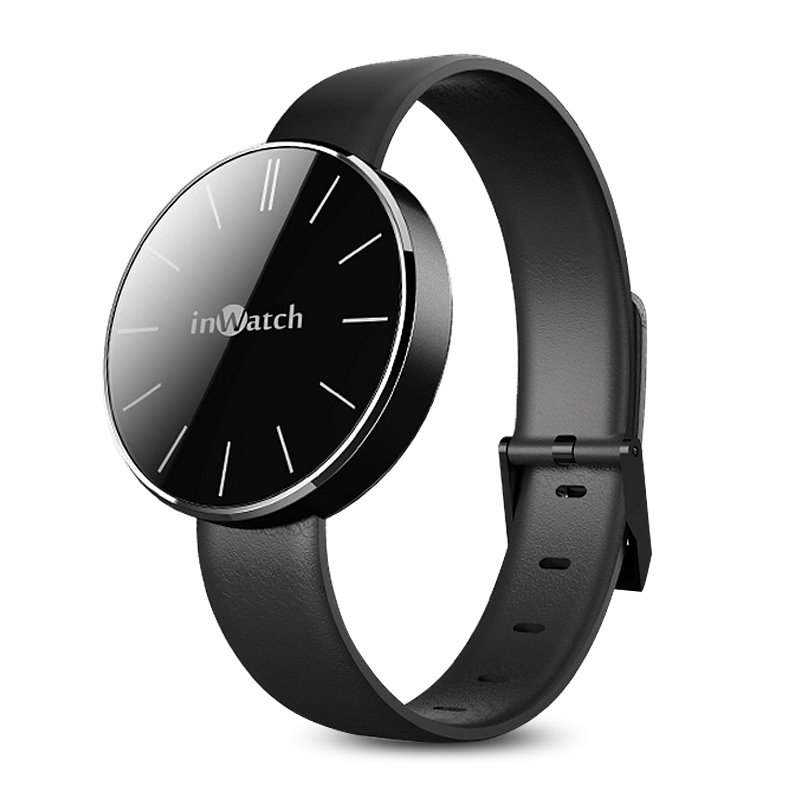 Sync with your cell phone by means of Bluetooth, once connected you will have a 10 meter range between this watch and your Android or iOS device. You can put your phone in your pocket or your bag and if you receive a call or messgae then you can use the InWatch Pi to alert you to them. There are 12 LED pieces that are built-in to this Bluetooth watch and an extraordinary gimmick is that the InWatch features a waterproof design. With this waterproof watch you can take it down to depths of 30 meters therefore you can take it when doing water sports. Created to be used as a big part of your life and to assist you all the way, the InWatch Pi is a great partner for your Android smartphone or iPhone.